Russia has integrated electronic warfare and offensive and defensive electromagnetic spectrum capabilities into its operations and strategies, in a way not seen from NATO forces in Europe, a leading expert on the Kremlin’s armed forces said Monday. Roger McDermott, a senior research fellow in war studies at King’s College London, said “the Russians learn by doing” and that they are taking lessons learned in Syria and Ukraine to heart. Citing their recent response to a drone swarm attack on a Russian air base and naval facility in Syria, he said, “all were brought down” by conventional air defense or jamming using electronic warfare tools. In Ukraine, small electronic warfare units have previously crossed the border to jam the Kiev government’s communications or enhance the fire control of the separatists’ artillery, before pulling back to their own territory shortly after, McDermott said while speaking at the Center for Strategic and International Studies in Washington, D.C. In his recent report on electronic warfare, McDermott noted that Moscow had already begun the integration of its electronic warfare capabilities with conventional military hardware and software when it seized Crimea and Ukraine in 2014. Already in place in each motorized rifle brigade was an EW unit of 150 to 180 non-conscript soldiers engaged in planning and executing missions. In addition, each of the country’s five military districts had an EW element assigned to their headquarters, as do each of the armed forces. McDermott said the United States and NATO do not have their armed forces organized in that way. The idea, he said, is to integrate C4ISR [command, control, communications, computers and intelligence, surveillance and reconnaissance], A2/AD [anti-access/area denial], space, cyber and electronic warfare for offensive and defensive military effect. The Russian military has been at this reform in strategic thinking since 2008. “What [President Vladimir] Putin did, he gave stability to the Russian armed forces” in funding, and has done so “consistently for the last few years.” This has allowed the armed forces to move promising projects out of research and development “to get these systems up and running.” He specifically mentioned an anti-communications satellite project that includes a strike system as one of the outgrowths of steady financing from the Kremlin. Michael Kofman, a senior research scientist at CNA who also spoke at the CSIS event, said the Russians are “also investing in capacity and how they can spread it across the force” when it comes to EW, as well as harnessing new capability in force development, thought and future warfare strategy. 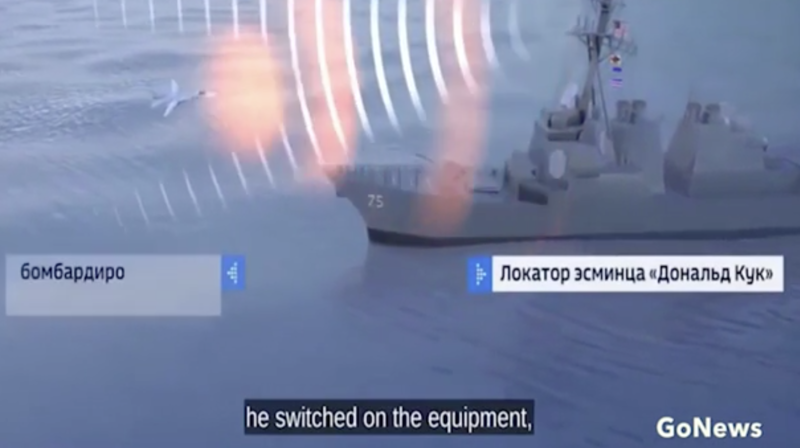 A screenshot from a Russian propaganda video of a Black Sea incident between a Su-24 Fencer and USS Donald Cook (DDG-74). McDermott said the Russians are not 10-feet tall in this arena. He used the buzzing of destroyer USS Donald Cook (DDG-75) by a Sukhoi-24 in the Black Sea in 2014 as an example of exaggerating Russian prowess. Initial news accounts said that, not only did the aircraft come dangerously close to the vessel, but through a new electronic warfare system the Su-24 knocked out the destroyer’s radars and left its Aegis system inoperable. “That’s mythology that built up,” he said. Two years later, when the facts became much clearer, the Russian company that builds the electronic warfare system in question said it had never been mounted on a Su-24. In the same light, McDermott said large military Russian exercises, the Zapad series, shouldn’t be viewed as training for an invasion of the Baltic nations or Poland; instead, it should be seen as what the Russian military would do in the event of NATO meddling in Belarus. “When they look, they see an unpredictable actor [in NATO with] this appetite to intervene” outside of its area, McDermott said. 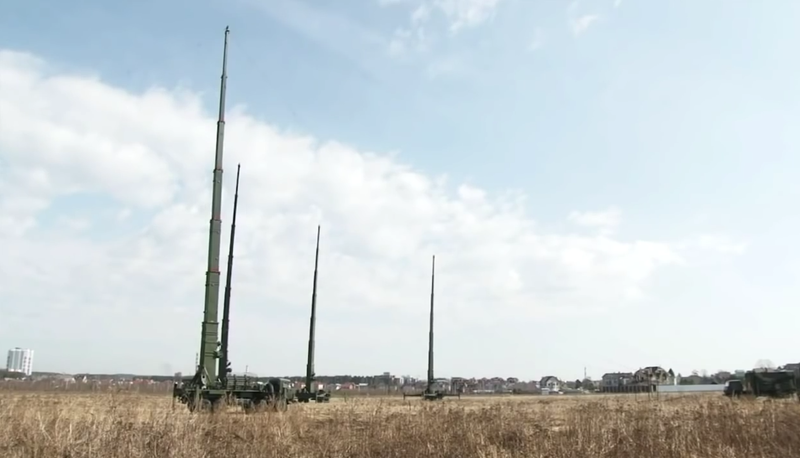 The Zapad exercises are training to respond to that challenge from the West across the electromagnetic spectrum. The question for Russian military planners, Kofman said, becomes “how do you achieve superiority” in situations like that. The answer: the Russians are working on asymmetric responses to expected challenges, McDermott added. Later in the event, McDermott noted that NATO does not conduct any training on that scale, nor does it routinely include EW in its exercises. 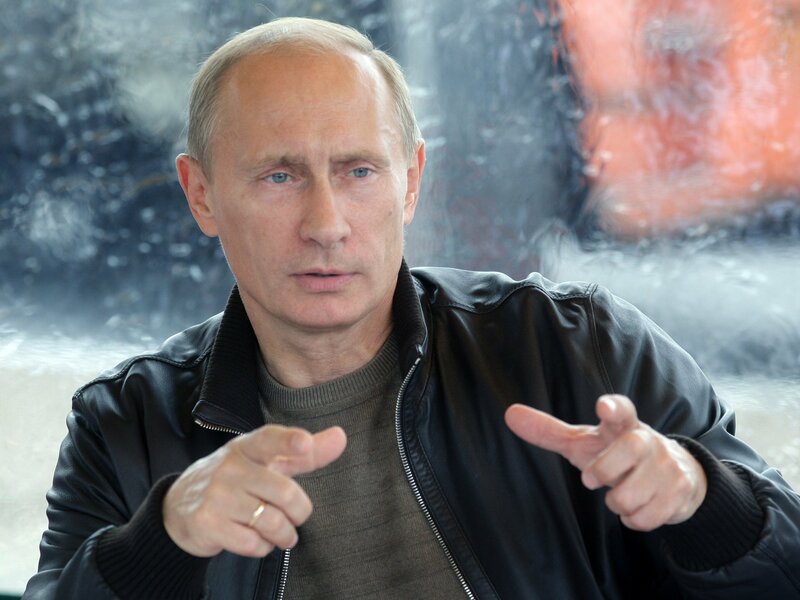 “On its periphery, Russia has escalation dominance,” he said.